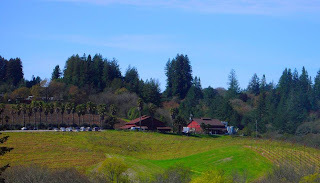 Iron Horse is one of Sonoma County\'s most beautiful, small, independent, estate, family owned wineries located in cool, foggy Green Valley. The founding partners, Audrey and Barry Sterling first saw it in the pouring rain in February 1976. Driving down Ross Station Road, they were sure they were lost until they crested the knoll and the view opened up to 300 acres of gentle rolling hills and a wall of trees behind that looked like Camelot to them. Incurable romantics, and having extraordinary vision, they bought the property in just two weeks. 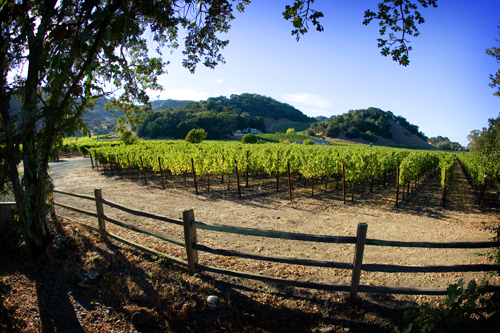 In those days, Iron Horse was the most westerly vineyard in Sonoma County. Even the agricultural extension agents from US Davis recommended they look further east as this vineyard was prone to frost as late as June 1st, well after bud-break, and jeopardizing the crop. But having lived in France, the Sterlings knew the cool, foggy climate was exactly what they were looking for to grow Chardonnay and Pinot Noir. And, as a native San Franciscan, Audrey Sterling had spent part of her summers on the Russian River and was familiar with the area. There were 110 acres in vine at the time, originally planted by Forrest Tancer when he was working for Rodney Strong. Forrest and the Sterlings became partners, upgraded the vineyard, engineered an elaborate frost protection system, built the winery and produced their first vintage of Estate Chardonnay in 1978. The winery officially opened in 1979 with the first vintage of Estate Pinot Noir on Barry Sterling\'s 50th birthday. The first vintage for the Sparkling Wines was 1980. The name Iron Horse came from a train that stopped at Ross Station at the turn of the 20th Century. The logo, the rampant horse on a weathervane, came from an actual weathervane that was unearthed when they were leveling the ground to build the winery. In the arena of Sparkling Wines, Iron Horse stands at the top.The wines have been served at the White House for the past five consecutive presidential administrations, beginning with the historic Reagan-Gorbachev Summit Meetings, which lead to the end of the Cold War. The winery is proud to produce a limited number of special cuvees for Charlie Palmer, Michael Mina, Bradley Ogden, Commander\'s Palace, and Disney. Iron Horse is truly a family affair. Audrey and Barry\'s daughter Joy Sterling is the CEO and lives at the foot of the vineyard. The Sterlings\' son Laurence, his wife Terry and their children moved to Iron Horse in 1990 and built their home on the far southwest corner of the property. Laurence is Director of Operations. Audrey and Barry are retired, but still reside at the heart of the estate in the original Victorian built in 1876. Forrest Tancer retired in 2005.